Of all the success that Susan Robinson has earned in her real estate career she is most proud of the opinions and support of her clients. What better accolades than her clients referring her services to their family and friends? Susan practices her skill in real estate sales in Monterey, Santa Cruz and San Benito counties of Northern California. These areas are a collection of endearing commuities; Santa Cruz with its pristine white beached, San Juan Bautista's ancient Spanish mission and the toll of church bells, the verdant golf courses, elegant shops and restaurants of Carmel-by-the-Sea or the lovely farms and inviting land parcels of Northern Monterey County. Each its own architecture, ambience, amenities and housing oportunities and Susan knows them all. Susan is your guide, this is where she lives, works and plays, this is what she loves. Northern California's real estate market is fast paced, competitive and complex, it can make real estate purchases and sales frustrating and time consuming. Susan's skill makes it painless. She is known for her outstanding marketing expertise, market knowledge and attention to detail. She communicates frequently and with candor so you always know what's going on. Susan negotiates strongly and skillfully for you. When represented by Susan you have not only found a competent REALTOR but an advocate on your behalf, putting your interest above all others. Susan leverages her industry reputation for honesty, integrity and fair play with other real estate professionsals on behalf of her clients giving her access to "off market" listings as well as creating smoother and more timely closings. She is well-versed on residential and commercial property but particularly knowledgeable about raw land and the effects of zoning, environmental restrictions, and coastal zones. She can work well with engineers, contractors and architects. Her husband, Allen Robinson, is owner of The Sienna Company, a local architectural firm. As a seller, you will be impressed with Susan's Unique Marketing Plan which outlines the process she uses to attract more qualified buyers, using her negotiation strategies to get you the best price and terms possible. She will explain market conditions, help you evaluate the merits of all offers and assist you throughout the selling process and beyond. As a buyer, Susan will listen carefully to your goals and take you on the Grand Tour to find the neighborhoods and properties that best fit your needs. She can provide you with the names of reputable lenders, should you need financing, and will provide you with experienced counsel when writing a strong and appropriate offer. Susan Robinson holds the coveted Certified Residential Specialist (CRS) designation by the National Association of REALTORS attesting to her extensive real estate education. She is the Broker of Record for Blackhorse Real Estate, a true local, "hometown" real estate company. 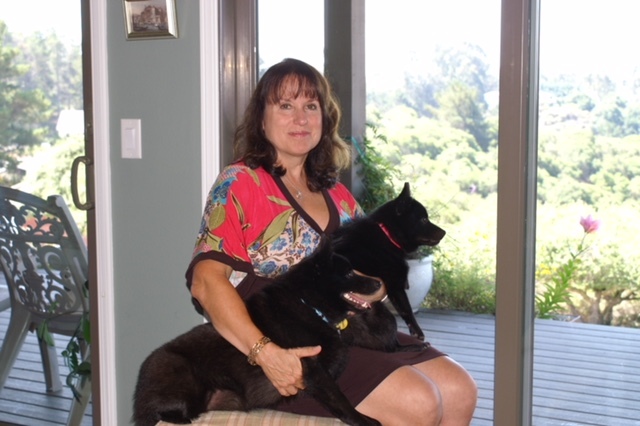 Susan is also a long-time member to the Salinas Soroptimist and a volumteer and donor at the Monterey ASPCA's local, "no-kill" animal shelter. Whether you are moving on , moving up or moving in, Susan Robinson is there to help. Call her today, you'll be pleased with her market knowledge, integrity and extraordinary client care.